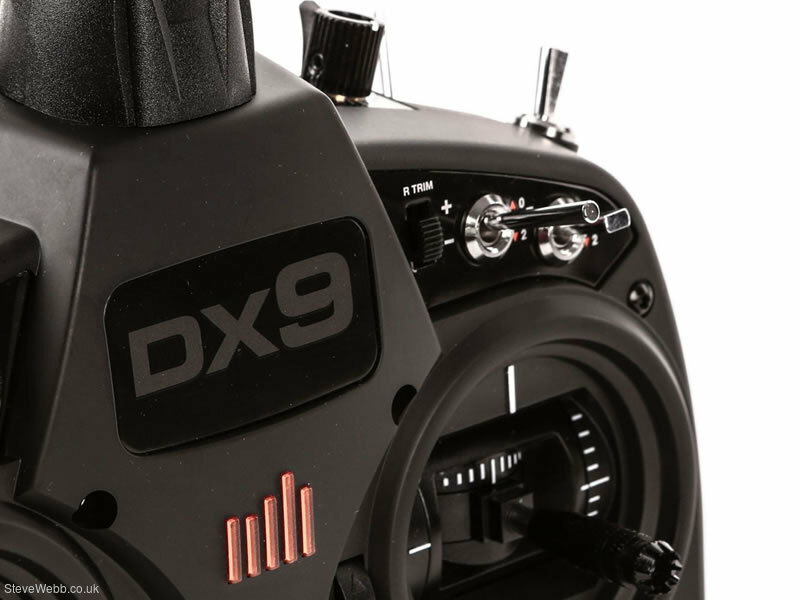 The DX9 Black Edition gives you the same incredible features and user-friendly ergonomics of the original DX9 but adds a stunning black finish. While the DX9 possesses a number of class-leading features, the centerpiece is it's incredibly advanced voice alert system. In fact, with a lexicon of over 300 words, numbers and phrases, it's quite possibly the most advanced system of its kind ever seen (or heard) in a handheld, 9-channel transmitter. 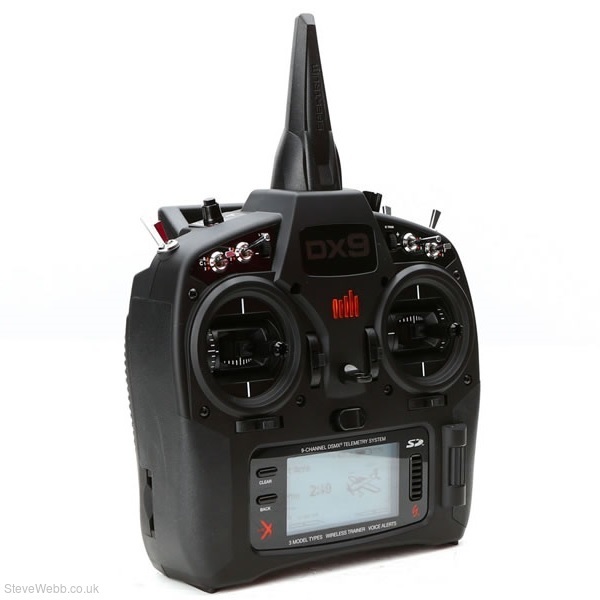 While the DX9 does have a trainer cord jack, it gives instructors the option to wirelessly "buddy box" with another DSMX® transmitter. Once bound to another transmitter, ModelMatch® technology will allow the DX9 to re-link without having to go through the bind process again. 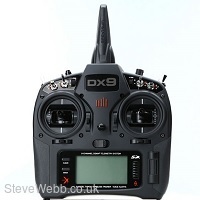 updates, will ensure the DX9 remain as cutting-edge tomorrow as it is today.